With a criminal justice degree or a degree in law, you can pursue many careers at the local, state and federal levels that garner respect and admiration. They include those of detectives, beat officers, prosecutors, defense attorneys, and others. In earning their criminal justice degree, these people took courses in criminal procedure, criminal psychology and behavior, municipal police operations, institutional corrections, and sometimes forensic science. 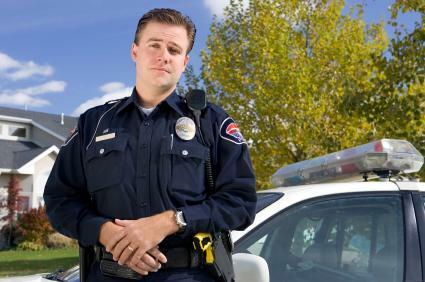 Criminal Justice is an attractive area of study for many because it encompasses a wide range of subject areas. Those interested in government tend to enjoy learning criminal procedure. Those with a passion for psychology like taking courses in criminal psychology and behavior. More than many other areas of study, Criminal Justice appeals to people with a variety of interests. Law is an area of study that blends philosophy, history, and politics with economics and psychology—areas rich with complexity and controversy unto themselves. Studied at a more practical level, it relates to the regulation of business, politics, and daily life—things that affect everyone. Though often studied separately, criminal justice and law are inextricably intertwined: Criminal Justice deals with the law's regulation of daily life—it's the part of the law that deals with citizens' day-to-day behavior. Whether a degree in criminal justice or law is for you is your decision. Both are areas with a wide appeal, and a broad range of practical applications. How can I get a Criminal Justice Degree? There are hundreds of criminal justice and law programs nationwide. If you decide either criminal justice or law is for you, be sure to shop around for a program that will have useful, challenging subject matter presented on a schedule that fits your needs. Whether it's online, in the classroom, at night, during the day, or on weekends, don't settle for a program that doesn't fit your needs.